Specimens are subject to repeated flexing through a given distance for a specified period of time so that the flex cracking and crack growth can be known. The instrument has a solid aluminum and stainless steel structure that ensures long life time and ensures repeatable results. The special movement system with both sample holders moving in opposite direction ensures considerable reduction of vibration and noise in comparison with other testers. The oscillation speed can be adjusted from 60 to 300 cycles / min. The number of cycles can be defined by the user and the test automatically stops when the set number of cycles has been reached. The flexure stroke can be adjusted from 0 to 56 mm and the distance of the clamps can be adjusted. 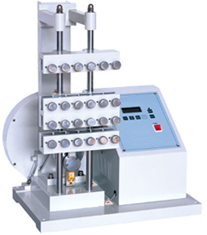 Up to 16 test pieces can be mounted simultaneously. 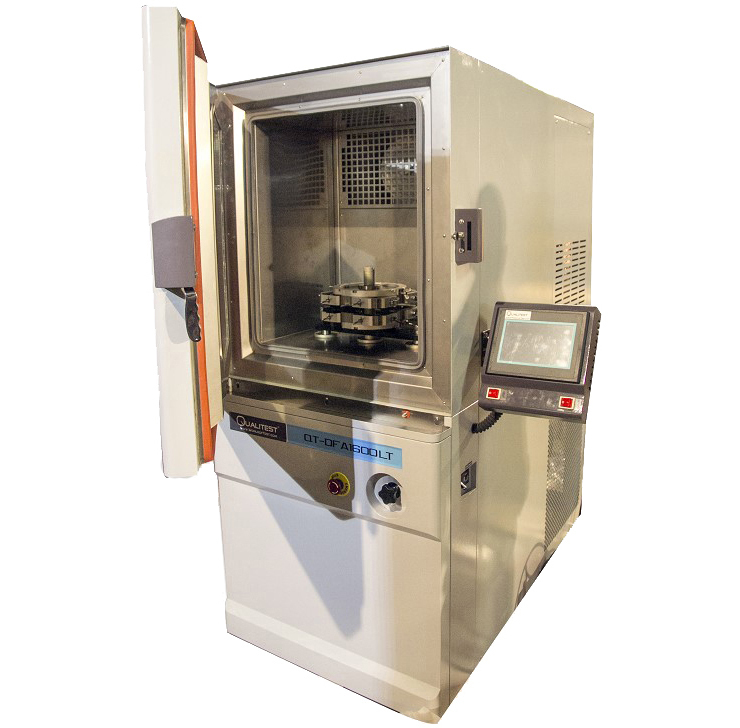 The system is with a temperature chamber, the sample holding system is located in a thermal chamber for the execution of flexure tests with temperature control. Thermal chambers are for tests above room temperature and up to 250 °C. The door of the heat chamber is fitted with a safety switch. Speed Adjustment: From 60 up to 300 cycles/min. The Basic / Economical DeMattia Flex Tester features variable speeds for testing fatigue, breakage or crack growth in rubber, plastics, leather, fibre optics and exotic composites. These models are designed with simplistic and durability in mind. The rigidity of the tester yields accurate results. This is a very economic solution for any laboratory. Our 3 station is equipped with adjustable grips to accommodate various sizes of samples.